Preheat oven to 350 degrees and flour and butter an 8x4 inch loaf pan. To a stand mixer add the butter and sugar with the paddle attachment and cream together until light and fluffy, about 2-3 minutes. Add in the vanilla, eggs and milk until fully combined. 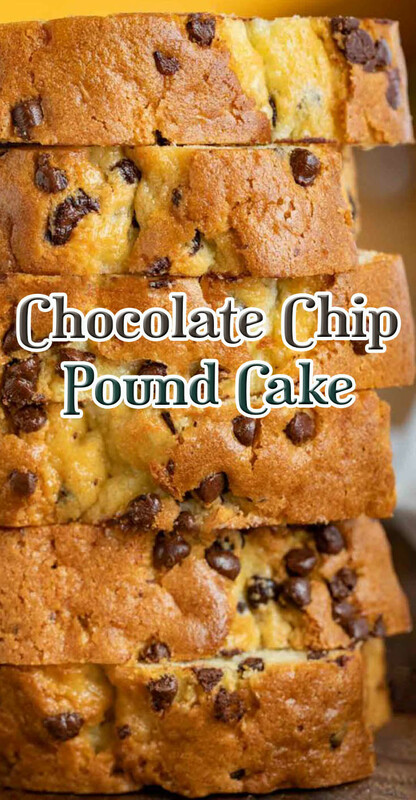 Add in the flour, baking powder and salt until just combined then fold in most of the chocolate chips (reserve a handful), pour into the loaf pan and sprinkle over the remaining chips and bake for 55-60 minutes.